It’s been thirty-nine years since the Rocky arrived in theaters. Since then, there have been six sequels to the Oscar-winning original. Some have been gratifying while others have lacked the spirit and the powerful message that these films — at their best — offer. The last entry in that series— the 2006 drama Rocky Balboa — was a fitting wrap-up for the series, ending the Rocky series on a strong note. 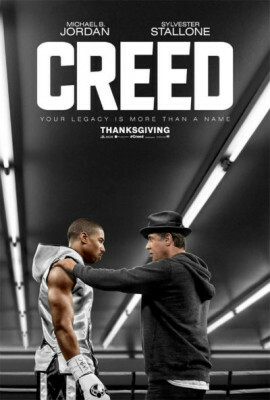 Creed, the new film featuring Rocky as a supporting character, was sparked from an idea that director/co-writer Ryan Coogler had years ago. He eventually convinced Stallone, the Oscar-nominated actor who wrote the original film, to don the gloves once more. Instead of being a footnote to the series, Creed is a wake-up call. It’s a vibrant, exciting and thrilling feature that wakes up the series’ core values and dares you to hope that this series continues in the decades to come. In this story, Rocky isn’t the main character. Unlike the last few entries, Rocky doesn’t come out of retirement to fight a new enemy in the ring. 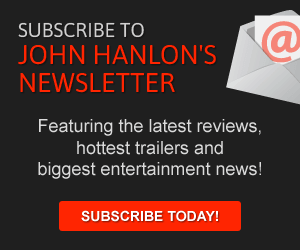 He comes out of the shadows — where he manages an Italian restaurant named after his late wife Adrian — and steps back into the gym to train a young and hungry boxer named Adonis Creed (Michael B. Jordan). From an early age — when he was in a juvenile hall — Creed, the son of the legendary Apollo Creed, was a fighter. Even after he was taken in by his kind-hearted stepmom Mary Anne (played with fierceness by a strong Phylicia Rashad), Creed continued to be a fighter. Even in the lap of luxury — Mary Anne’s house is a beauty — Creed still longs for the excitement of the ring and asks Rocky to train him back in Philadelphia. Coogler (who wrote the screenplay with Aaron Covington) imbues this entry with a tremendous freshness, creating an origin story while paying respect to Stallone’s strong characters. Coogler continually reminds viewers of Rocky’s unforgettable legacy with great enlarged photos of the boxer at Mickey’s gym and boxing photos aligning the walls of Rocky’s restaurant. This isn’t just a story about a boxer training to become a victor. It’s a story about a young man trying to live up to the expectations of being the son of a legendary fighter and the trainee of another legend. As Creed grows as a fighter and begins dating Bianca (Tessa Thompson), a neighboring musician whose budding career mirrors that of Creed, the movie builds up the two characters as a fresh-faced duo wanting to take on the world with enthusiasm and vigor. 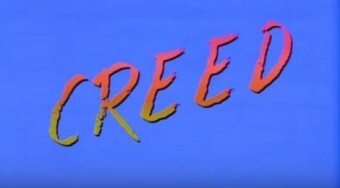 Inevitably, Creed’s aggression — towards those who look down on him— creates a roadblock for the couple but that roadblock feels genuine and real, rather than manufactured. These are characters who want a lot out of life and know that they need to be disruptive to achieve their goals. It’s easy to see why Coogler has so much affection for this long-running series but it’s incredible what he does with it, revitalizing a franchise that seemed to be past its prime. There’s a fire and a passion in Creed that’s hard to deny. Instead of offering a final glimpse at the series, Coogler has rewaken it from its dormancy and I for one can’t wait to see where the series goes from here.